Baby Boy Photo Shoot Jacksonville - Newborn Photography | Schedule Your Newborn Shoot Today! When it comes to newborn photography many of us think about the cute props, the adorable wraps and sleepy poses. But what many parents don't realize is how much safety plays a part in the newborn photography experience. How do you make sure the baby is comfortable? You will quickly notice that a majority of newborn photography features naked babies. One of the most important things in ensuring their comfort is to make sure the room is kept very warm. The heat is turned way up and heaters are often kept next to that baby. Not only does it ensure their comfort, it also ensure they remain sleepy. It's a win, win for everyone. All babies cry. It's how they communicate. If your baby is crying its simply a matter of determining which need must be met. Are they hungry? Do they want soothed or held? Perhaps they need wrapped. We will always take the time to comfort your baby! What safety precautions are taken during the newborn session? In addition to being extensively trained in proper newborn posing techniques we also take numerous other safety precautions during the session. Buckets, baskets and other props are weighted down so they can not tip over. 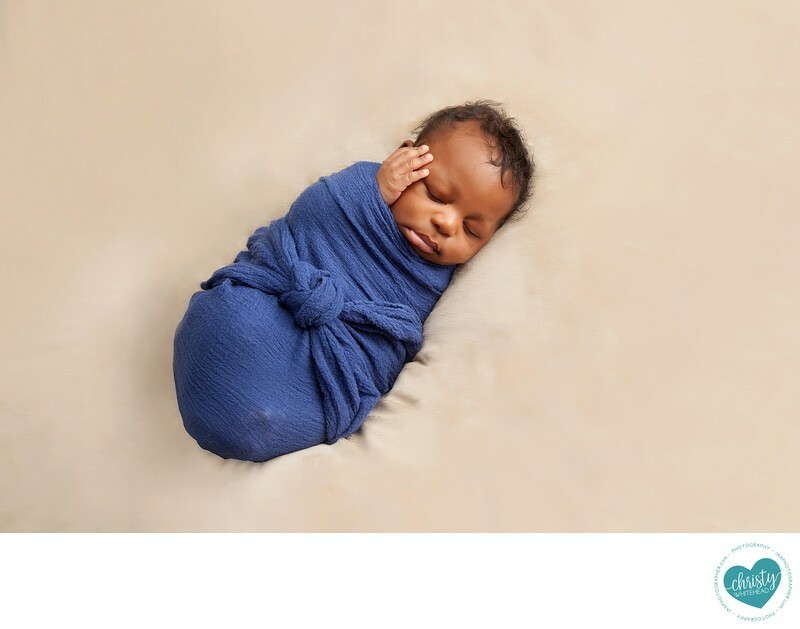 Poses are all done carefully with proper positioning so that your baby is safe at all times. Babies are propped on blankets, wraps and bean bags to help them maintain poses. Also, everything used from the blankets to bows are washed between every session to keep everything very clean and germ free.